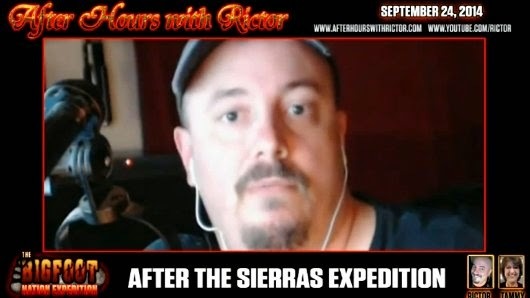 In this episode of After Hours with Rictor, Rictor Riolo and Tammy Murray discuss the recent Bigfoot Nation Expedition that was held in the Sierras. They had some interesting things happen over the weekend and Rictor is here to break it all down. They had the police and Forest Service raid their camp and they even give a call to Derek Randles of The Olympic Project to have him weigh in on some questions they had about hunting.